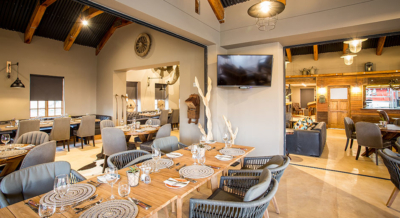 Just 6.4 km from the original Botlierskop Game Reserve lies the newest addition to the family – The Village Lodge, remote enough for a country escape, near enough for a wonderful day out. 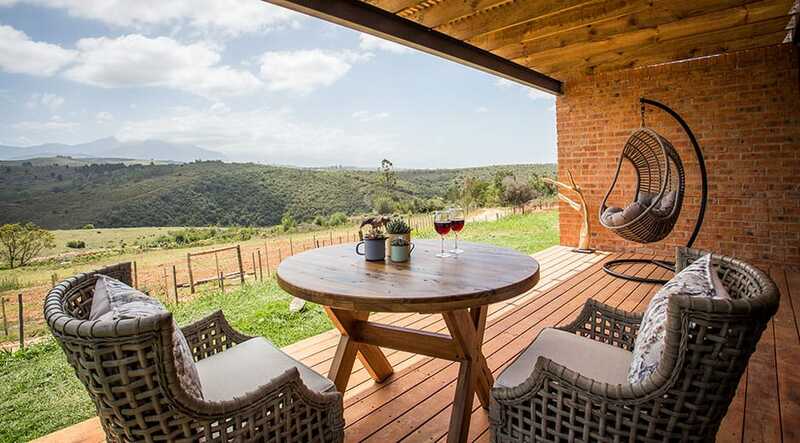 Offering magnificent views of the majestic Outeniqua Mountains, the Lodge is set on the landmark Kleinvlei Farm, which now forms part of this picturesque 4,200-hectare, malaria-free Reserve. 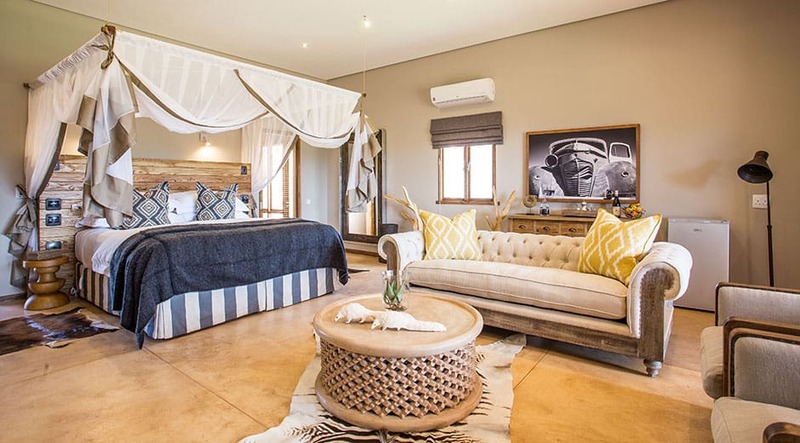 The child-friendly, 16-bedroom Village Lodge is located on the northern side of the Reserve, close to the historical Friemersheim, the original mission station and site of the slave quarters for Great Brak River. 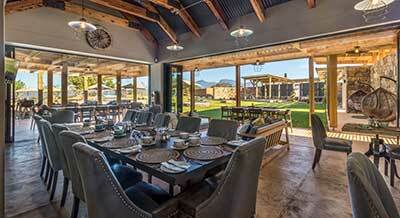 The Village is a harmonious collection of new and vintage houses, some dating back to the 1800s. 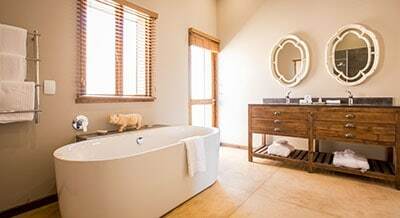 Each house is individual in style, but uniform in luxury, style and comfort. 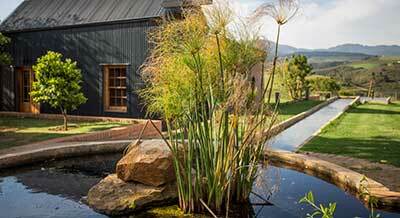 These have been lovingly-restored to blend in with their modern, contemporary-country style counterparts. 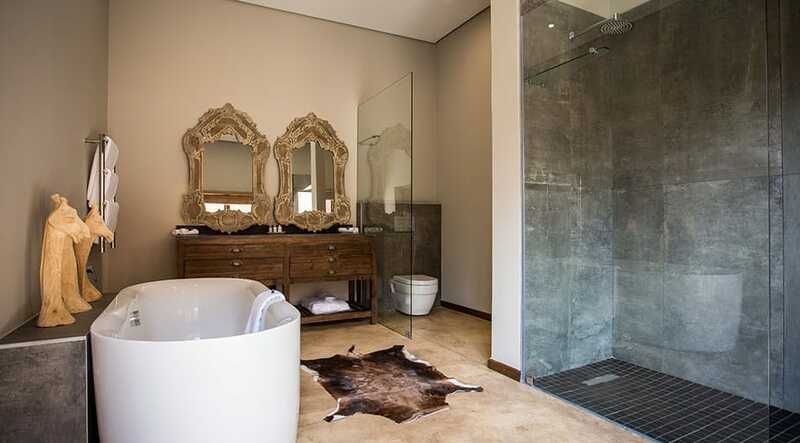 Each unit is en-suite with spacious, light-filled open-plan interiors. There is also a family wing where each of the four suites has its own entrance and patio with either a garden or mountain view. 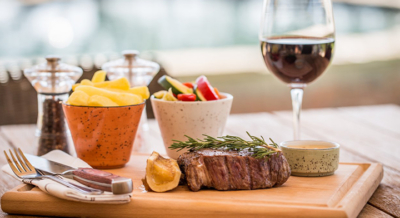 The expansive herb and vegetable gardens are laid out in a wagon-wheel formation with central focal dams Watermollen (Watermill) and Perdedam (Horse Dam) – also known as Grootdrink of Dors (Large Drink or Thirsty). The water flows past the houses in a series of canals. The abundant fresh produce that’s lovingly coaxed from these gardens supplies the popular Bellevue Restaurant, formerly the district’s school house. Local legend has it that one of the last pupils of The Bellevue School in 1938 maintained that Kleinvlei had one of the strongest athletics team of all the rural schools in the area. 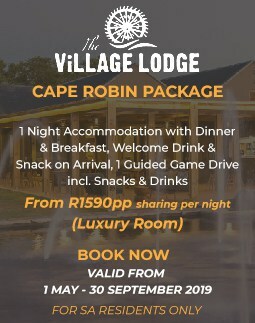 The Village Lodge is child friendly and all ages are welcome. 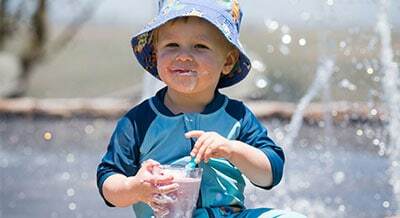 Aside from sailing paper boats in the canals, your young ones can enjoy the playground, spacious lawns, sandpit, swimming pool, tadpole fishing and pony rides, while you take time out to relax at the Botlierskop Bush Spa, go on a guided bush trail or horseback safari. 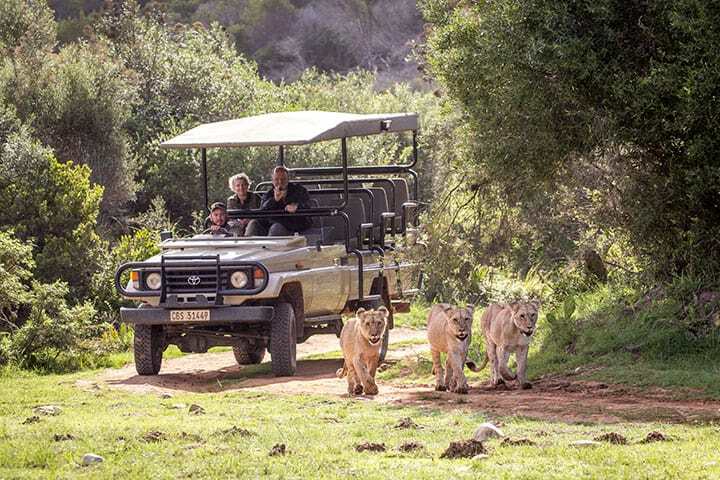 Activities that departs from the Village includes guided game drives and bush walks. 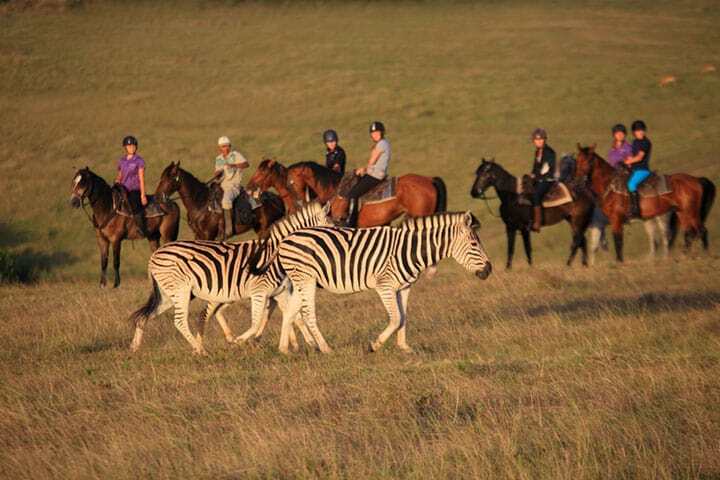 More activities on offer depart from Botlierskop Tented lodge (amount 15 min transfer through the reserve by your guide) and includes a visit to the Bush Spa with various spa treatments as well as horseback safari’s. 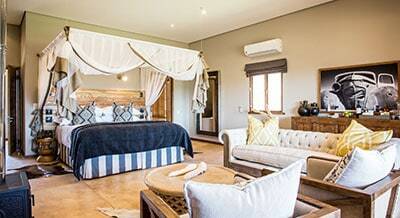 Village guests can also visit our Day Safari Centre and enjoy the restaurant and leisure facilities. 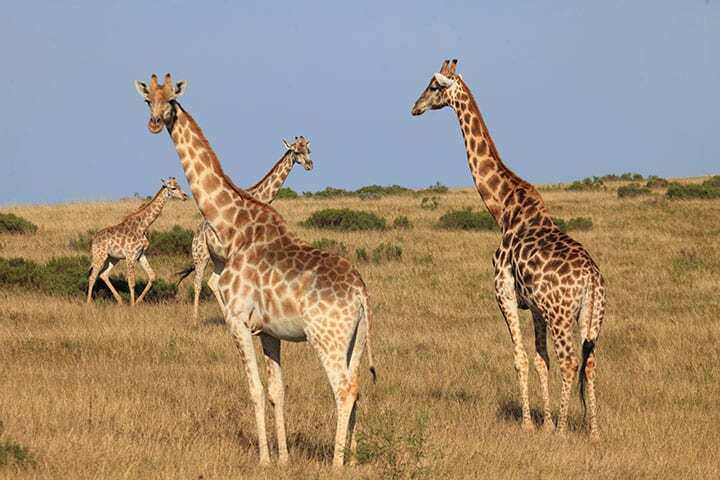 The conservation of Botlierskop Game Reserve and fauna is a priority. 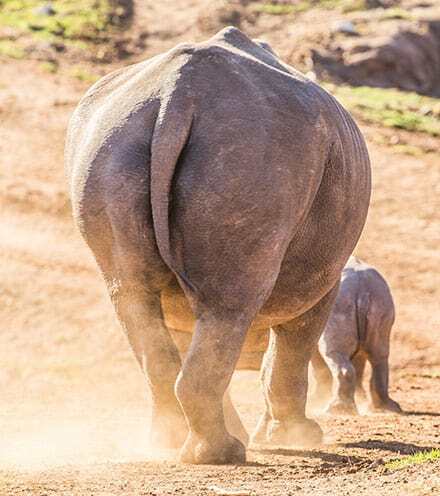 Rising operational cost of security personal and anti-poaching activities that the reserved enrolled in 2018 forces us to start implementing these fees. Your conservation fee is ring-fenced to help us strengthen our biodiversity and protecting our rhinos. For guests self-driving to The Village Lodge, check in is at 14h00 on day of arrival and check out is at 11h00 on day of departure.